Did you ever wish the Library had a quick way to search a bunch of stuff at one time? You can do so now with the unveiling of the Discovery/EDS Health tool! This new service allows you to search multiple databases and another way to get to many of the Library’s subscribed resources. If you’re familiar with other EBSCOhost databases such as CINAHL or Academic Search Complete, the presentation of the results and the options you have to refine your search should be familiar. 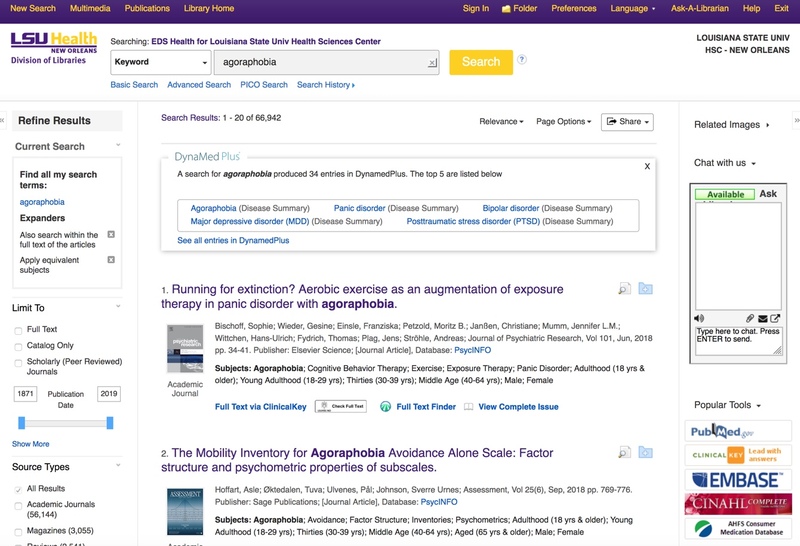 You can also perform your search in PubMed, EMBASE, and ClinicalKey by clicking on the icons for each to the right of the screen. 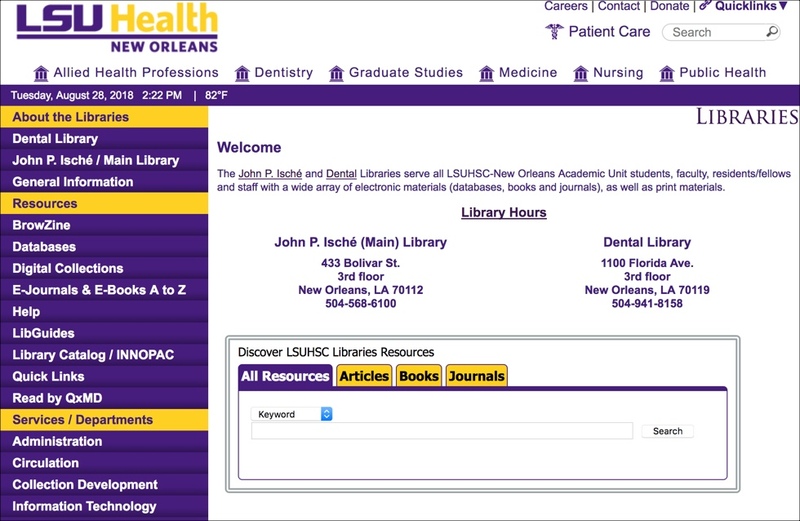 One of the greatest benefits of the Discovery tool is that it brings together many databases, including MEDLINE, Scopus, and CINAHL, along with the majority of resources the Library subscribes to, such as books from AccessMedicine, journals from ScienceDirect, and items from the print collection, and puts them all in one place. If you prefer to search other databases, those are still available, and the Discovery tool is meant to complement our current offerings. You will then be asked to enter your Library barcode and PIN through our EZproxy login service. More information and help about accessing Library resources when off-campus is available on the Library’s Databases page. In the coming weeks we will have more posts that delve into the many features of this dynamic tool. There is a LibGuide available that walks through some of the basic features of the Discovery service, and Library staff always welcome your questions. We hope you will find this new service useful and that it provides a way to get to more of the Library’s resources.